The Cloud Credential Council (CCC) is a global community driven organization that empowers companies in their digital transformation journey. Our certification programmes are enabling people to become ‘Digital Ready’. We do this by offering vendor-neutral certification for IT Professionals including Cloud, Big Data, and IoT. Below are the steps for taking exams to earn your CCC certification. CCC certification programs put the use of new and emerging technologies into perspective, explains their value, and helps IT professionals to make the best use of cloud, big data, and the internet of things. Therefore, CCC certification programs complement and support existing technology-specific training programs already available in the market. CCC certification programmes teach the bigger-picture aspects of new and emerging technologies, and are an ideal starting point for anyone, or any organization, looking to get ‘Digital Ready’. Online Self-Study Options: We encourage the attendance of a classroom-based training. However, in case you cannot find a CCC training provider near your location you can always opt for a self-study solution where you will be able to learn at your own pace using the accredited material. Find a CCC Training Provider: Are you interested in Cloud, Big Data, Internet of Things training and education? The CCC works with more than 150 global partners in more than 50 countries. Generally, your training provider will book the certification exam for you. If you have chosen an online self-study option you will be able to use the voucher provided with the training material. Passing scores for each exam are provided in the training coursebook. 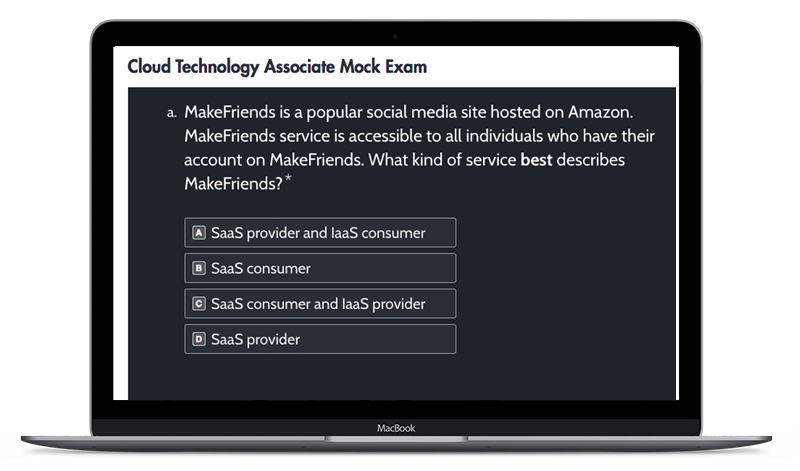 If you want to practice, we have prepared some mock exams that you can take for free in order to evaluate your preparation. You’ll receive a verified certificate that provides a level of comfort to those who want assurance about your Big Data, Cloud or Internet of Things skills and competencies.